The high school basketball national rankings are used to determine which teams play each other and which teams have the strongest players. These rankings also have a lot to do with which teams are scouted by the college recruiters. If you are interested in turning pro, read on to find out how your school rankings can affect your future. As with any other sport, teams are ranked in accordance with a specific formula. MaxPreps doesn't take into consideration media reports, prior season history or school size. MaxPreps uses the following formula to determine how your school is ranked nationally. If your school ranks in the top 25 schools during a given year, chances are you will get to show what you have to a pro or college scout. However, don't just expect that this will happen. A lot of hard work goes into getting noticed by scouts. For many, getting noticed by a scout can be very important for their future. Players either want to get into a good college and earn a basketball scholarship or they want to head right into the big leagues. While not everyone makes the leap from high school into the pros, college basketball scouts pick up many players who will then turn pro upon graduation. 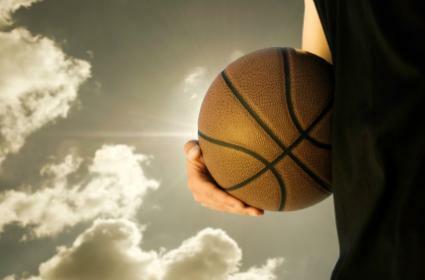 The athlete needs to be capable of playing college level basketball. While talent can be developed, the basic skills need to already be in place. The athlete has to have good grades in high school. A college scout may be interested in you, but if you don't have the grades to get into his college, you can't play for that college's team. The athlete and their family must be driven to succeed. It will take a lot of time to get information out to entice scouts to visit the player at a high school game. This means sending out information to scouts, college coaches and making phone calls. Athletes and their families need to be pro-active. A scout will contact the high school coach first. It is a good idea to let your coach know that you are interested in playing college ball and that they may be contacted by a recruiter. Athletes should be aware that their school's basketball rankings have a lot to do with whether or not they will automatically be noticed by college or pro scouts. While these rankings are important, athletes still can get noticed by promoting themselves.